Our teaching team is composed of teachers at different ages, and with variety of teaching experience from one-on-one to big classes of 50 students. 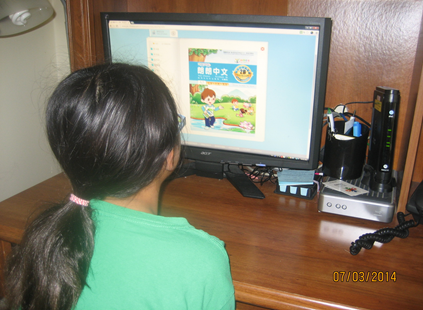 In order to enhance the understanding and absorption of teaching contents, our teachers can use Internet movies, videos and reading materials in classes at a click. We choose and utilize a proved commercially available online conference platforms (Currently we use Fuze Meeting. 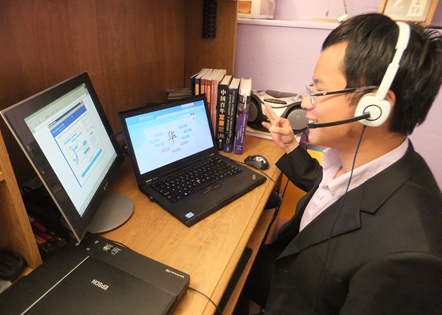 Learn more about this software here) to facilitate an effective interactive conversation between our teachers and students, just like they are in the real classroom. Students are attracted by our teachers’ delicate design of lessons incorporated with the animated visual effects of PowerPoints, computer audio system and internet resources, such as Youtube. We match the lowest tuition of Chinese schools nationally.